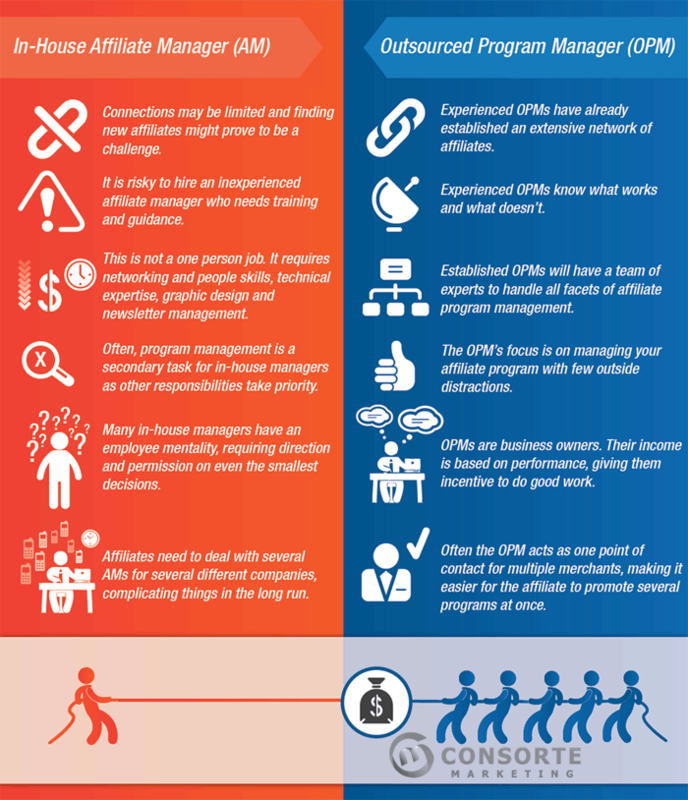 Choosing the right affiliate program manager can be very difficult. You may find that some people in this space are all talk, but can’t deliver results. More often than not, this is because of the lack of follow-through on leads. Affiliate marketing is just like any other sales position, except that you are selling people on the promise that your product will sell and they’ll earn commissions. At Consorte, we place significant emphasis on the follow-through. Combining this with our extensive experience in the space and a network that includes contacts at all of the top Comparison Shopping Engines (CSEs), coupon and deal sites, PPC and Search Engine Marketing professionals, and 1,000s of bloggers and publishers who are eager to monetize their websites, we have the formula for success with most products. We’ll also be honest with you about whether we feel your program can be a success. Our reputation depends on our ability to deliver results, and so we tend to be selective about the products we promote. You should note that not every product and website converts to sales. It is for this reason that we recommend SEO and PPC first, over affiliate marketing. An experienced affiliate manager knows how important it is to maintain relationships with the publishers in the network. These relationships may be strained when a program manager knowingly sells an affiliate on putting sub-par products, services or websites onto their web properties. By optimizing for conversion using such techniques as Landing Page Optimization, we are able to minimize this risk while increasing conversion, resulting in happier affiliates who are making money.